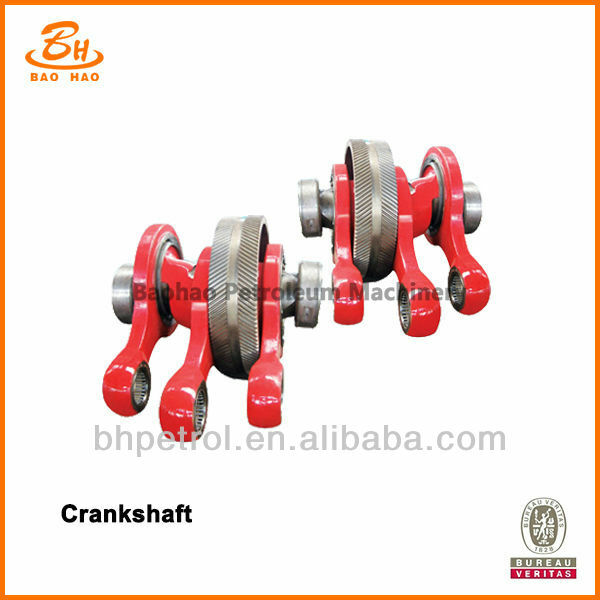 The crank shafts are alloy steel castings. Gears, connection rods and bearings are separately mounted on the crank shaft. The teeth on the gears are herringbone teeth. The tight fitting is used for the assemble between inner hole of gears and crank shaft together with inserting bolt and locknut for solidification. 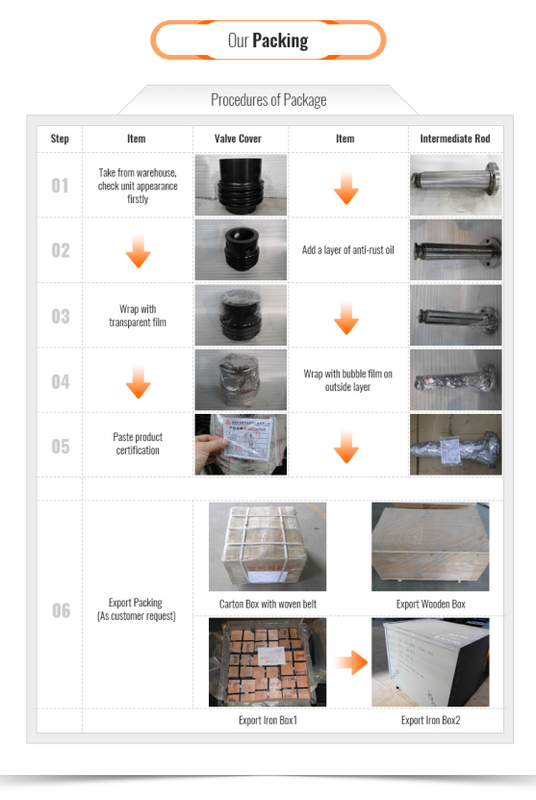 The big end of rod is installed respectively on three eccentric elbow of the crank shaft by means of the single column Roller Bearing, while the small end is installed on the cross pin through the double column roller bearing. Both ends of the crank shaft are double column centripetal sphere roller bearing. 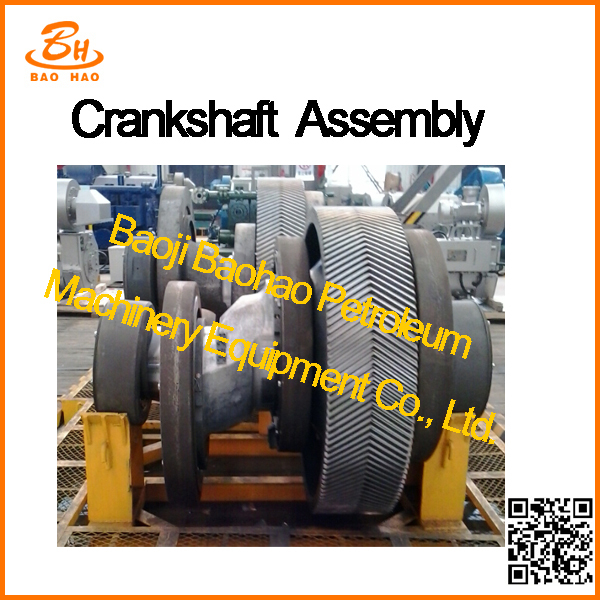 We supply the crankshaft which was manufactured as per the drawing of BOMCO. The material, size, precision, technological process and the quality are consistent with the original products from BOMCO. 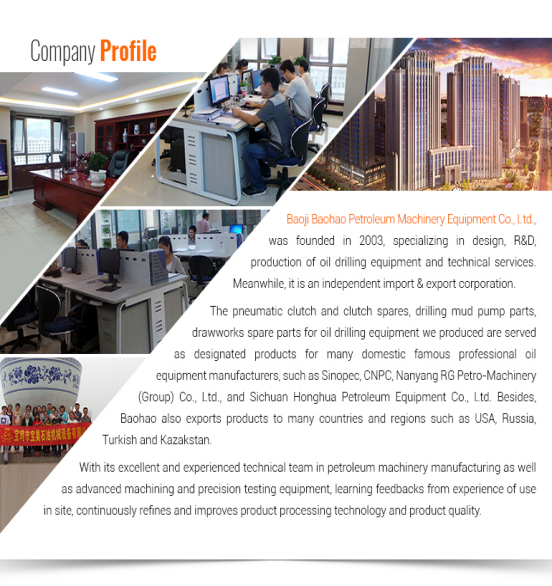 Baoji Baohao Petroleum Machinery Equipment Co., Ltd. was founded in 2003, specializing in design, R&D, production of oil drilling equipment and technical services. Meanwhile, it is an independent import & export corporation. 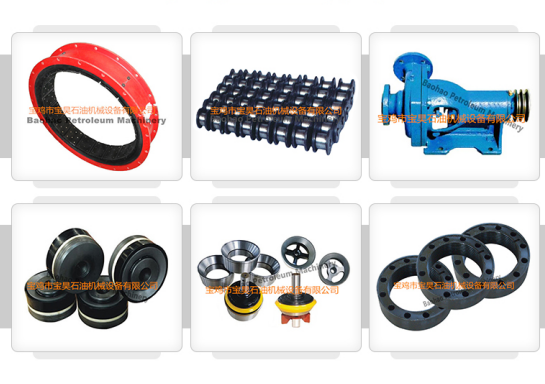 We mainly engaged in pneumatic clutch and clutch spares, drilling mud pump parts, drawworks spare parts for oil drilling equipment and downhole testing tool. 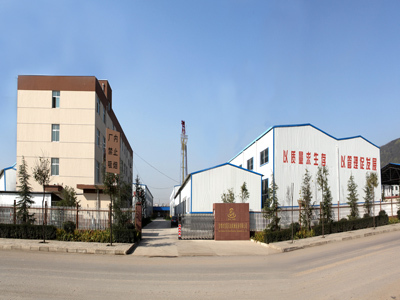 Baohao exports products to many countries and regions such as USA, Russia, Turkish and Kazakstan. 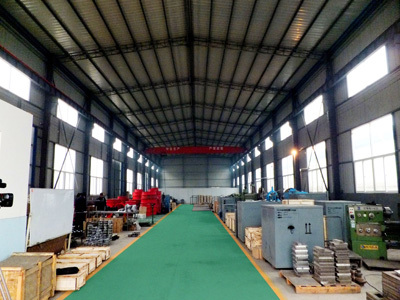 With its excellent and experienced technical team in petroleum machinery manufacturing as well as advanced machining and precision testing equipment, learning feedbacks from experience of use in site, continuously refines and improves product processing technology and product quality. 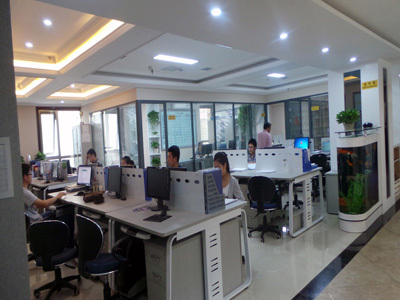 Baohao strictly abides the GB/TI9001-2008-ISO9001-2008 QMS, the Industry Standard SY5138-92, SY/T6760-2010 and American API Standard during the whole production process including the delicacy management of contract execution and monitoring over in-warehouse and ex-warehouse products. 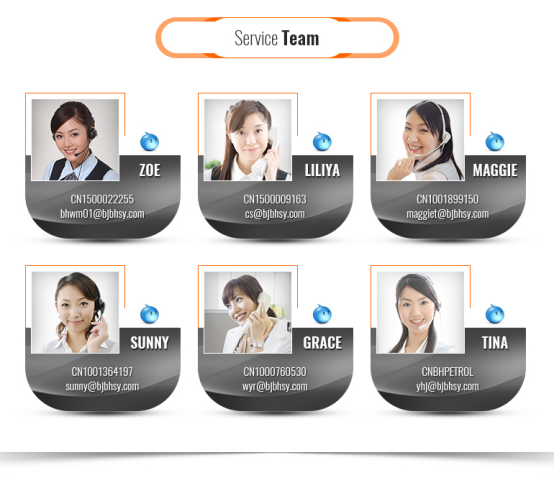 The good-quality products and service are highly commended by clients at home and abroad. 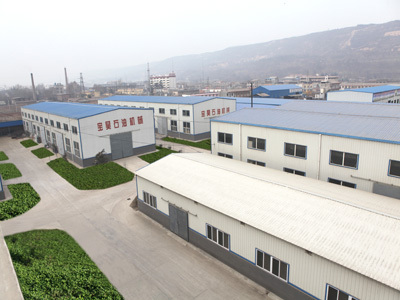 Therefore, Baohao was awarded the honorary titles such as "Credit Level AAA Grade Enterprise" conferred by BCP,"Observe Contract and Keep Promise Enterprise"conferred by Baoji industry and commerce administrative bureau and "Credit Enterprise of High-quality Products" Good Faith Producers from Alibaba. 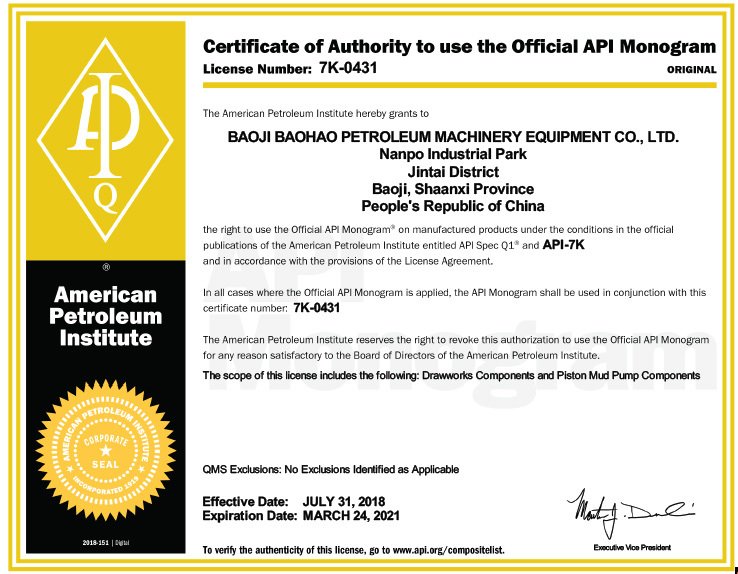 Baohao Petroleum Machinery will always be your faithful friend and trusted partner. 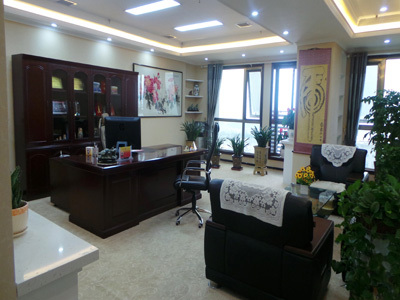 We are looking forward to your extensive exchanges and cooperationwith us, and warmly welcome customers at home and abroad for joining and patronage.